The aim was to redesign the hall by creating a dialogue with Christian de Portzamparc’s architecture while integrating the image of this famous television channel. The design was made-up of TV-screen-like rectangular elements of different sizes and primary colors as well as metal. 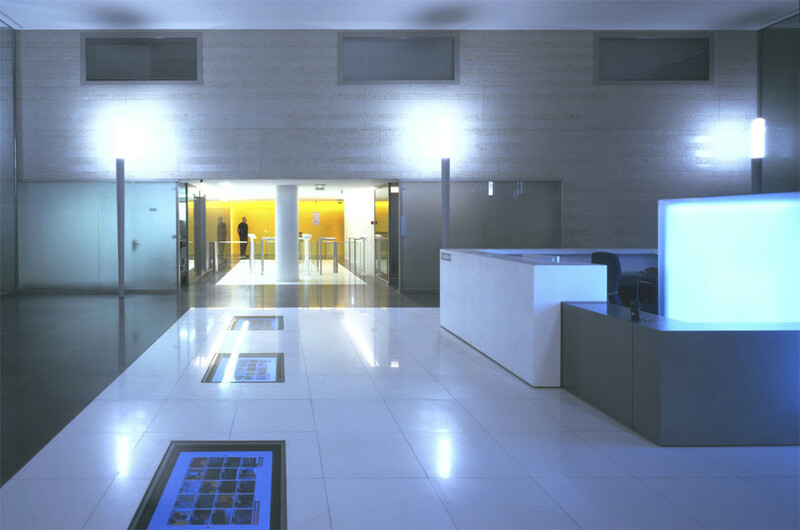 The scheme included defining a reception space which is the only way into the building and must project the group’s image. This is achieved through the design’s volumetry, the furniture and the materials used. This aesthetics which draws its inspiration from Mondrian is based on rigorous designs and pure lines. 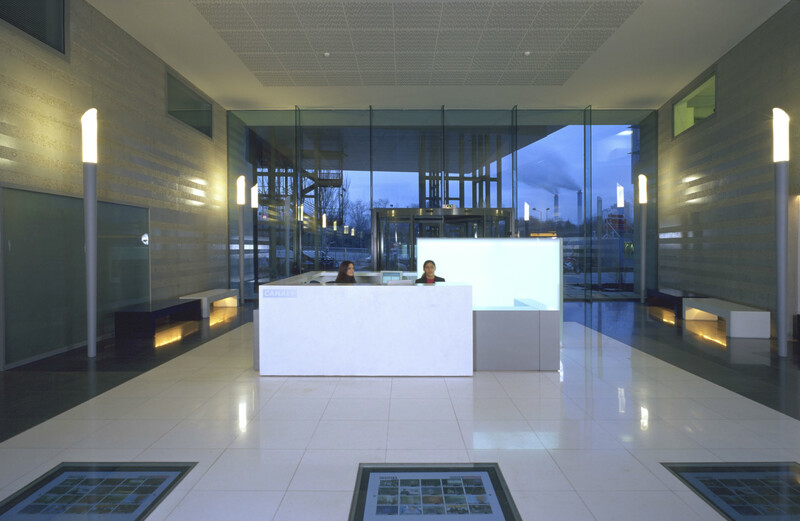 The reception counter, cut by a luminous white glass screen is made up of vertical white stucco and metal volumes. The central hall is a large space connecting the back street façade to the front river bank. It gives the composition an urban passage atmosphere. The benches, painted in Canal + colors, give the hall its final touch. The interior design is a continuity to the exterior one. 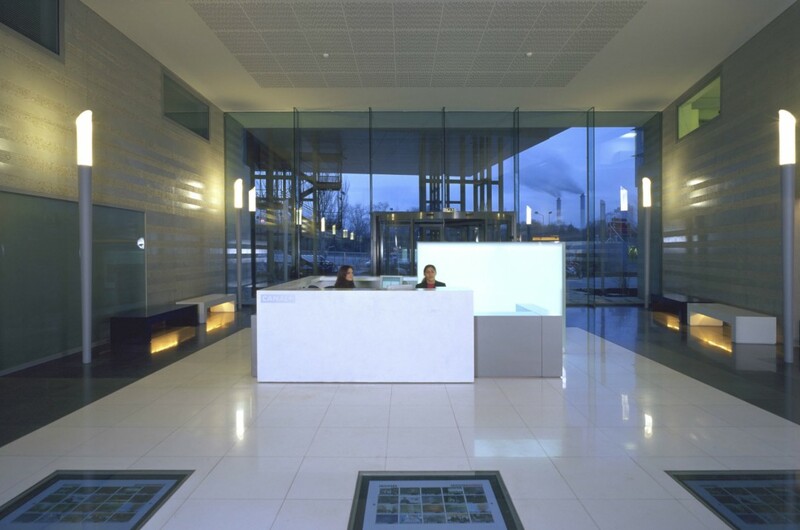 The same materials are used on the floors and the walls. A luminous masts installation creates a rhythm inside the hall and is extended outside the building creating a soft and warm light. Design conception of the main hall.